It's This or Murder...: I Got to Rock The Lunchbox...and I Liked It! I Got to Rock The Lunchbox...and I Liked It! 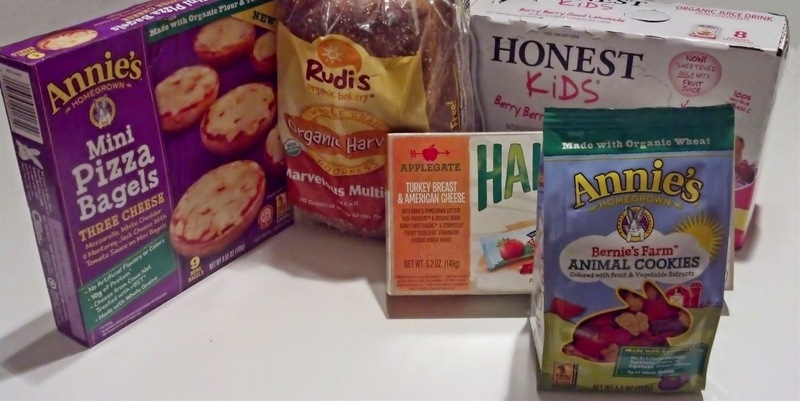 So I was introduced to the Rock The Lunchbox program via Influenster. What does that mean? My kids and I get to try out all these wonderful foods! So what is Rock The Lunchbox, really? Well, it's a great website (go here) where you can get creative ideas for healthy and fun snacks and lunches, plus coupons that make buying said snacks a happier experience for all. And in my case, and that of my kiddos, it certainly was. 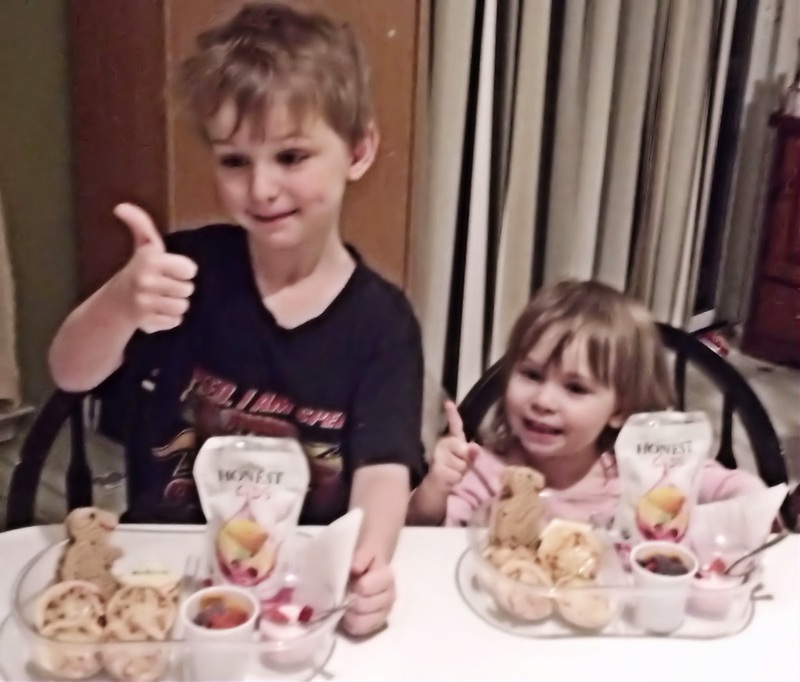 I put together some fun, tasty, and healthy snack trays for our movie night, and you can see the reactions. My works of art were quickly devoured. My son is a particular fan of pizza bagels, and he was very pleased with the Annie's ones. I liked them myself...great flavor on the sauce, and the cheese was very fresh-tasting. They didn't even notice the whole-grain goodness of the Rudi's Organic Harvest Bread, and normally if I try to sneak anything but white bread in, I get attitude. Being shaped like a T-Rex MAY have helped. See what I mean about the site giving you creative ideas? The flavor WAS very mild, and just a little sweet. We were fans of the Applegate Half-Time Snack Kits already...it's so nice to have a truly wholesome alternative, and they kinda like how they taste, too. They're a staple here. 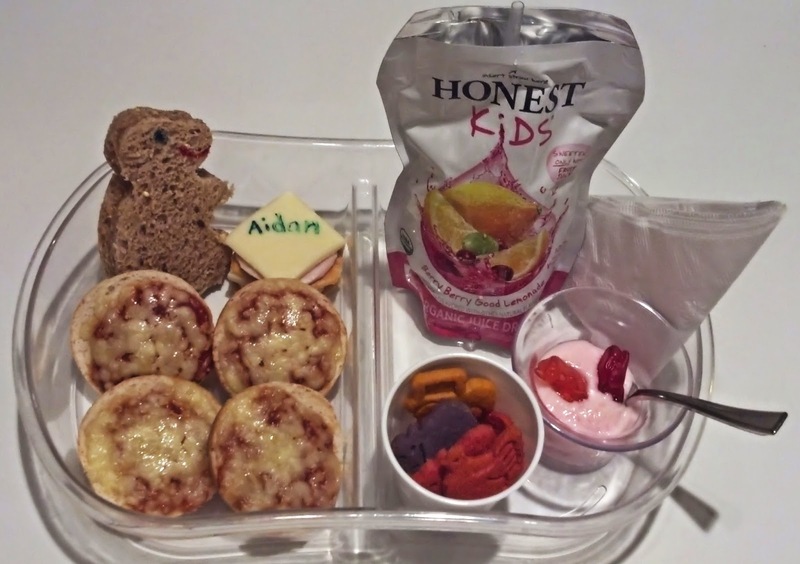 The Honest Kids Berry Berry Good Lemonade...that is SO not just pretty words. It is delicious. I freely admit to snitching a couple of the pouches. Don't judge. Just go get your own. You'll see what I mean. 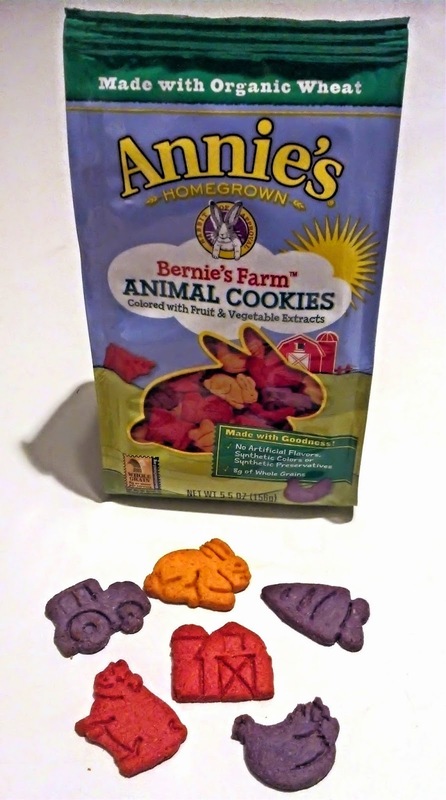 Their absolute favorite snack, however, were the Annie's Homegrown Bernie's Farm Animal Cookies...they loved them so much, I had to go get more right away. They're not just nom...they have cute shapes and nice bright colors that appealed to both of them. They spent more time playing and creating farms than actually eating them. So anyway, scope out Rock the Lunchbox for your ideas and coupons, and you too can have smiling kids! I received products via Influenster for testing and review purposes. My opinions and sneaky eating habits are my own.